Charlie Williams was born and raised in Valletta, Malta on 15th of February 1944. Charlie learned to play the beautiful game of soccer in the streets of Valletta, often playing with a cloth ball or a tennis ball since a very young age. At the tender age of ten, he started playing organized soccer for the Valletta Lilywhites in the Valletta youth league which used to be played at the Xara Grounds (i.e. the Independence Arena in Floriana) every Sunday morning in front of huge crowds. Charlie entered Stella Maris College when he was 11 years old and quickly established himself as one of the top players that Stella Maris College ever had. Despite only being 11 years old, he represented his school’s top team on a regular basis. Between playing at his school and his local Valletta Lilywhites team, Charlie would train and play soccer an average of 4 hours per day, 7 days a week. 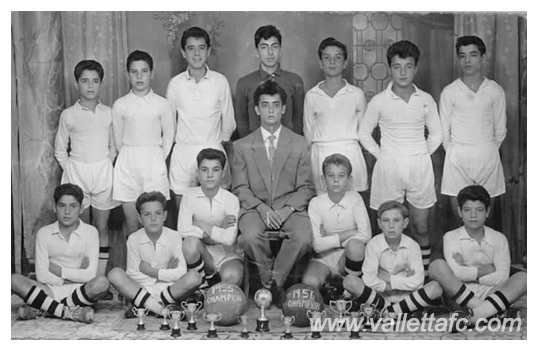 During his playing days at the Independence Arena, he was discovered by Valletta FC officials and was asked to join Valletta FC at the age of 13 years old. At 16 years old, Charlie was the captain of the Valletta FC minors team, while also playing for the under 21 team and the Valletta FC reserves team on a regular basis. By now everybody in both Valletta and Malta was seeing Charlie Williams’ potential in the game of soccer, and consequently, the Malta Football Association (MFA) quickly picked him to represent Malta as a youth International. St Joseph Str Valletta Lillywhites team Charlie Williams sitting far right. Charlie Williams made his Valletta FC debut at age 17 and made the number 4 shirt his own. He quickly became Valletta’s mainstay, playing the important role of a midfielder. 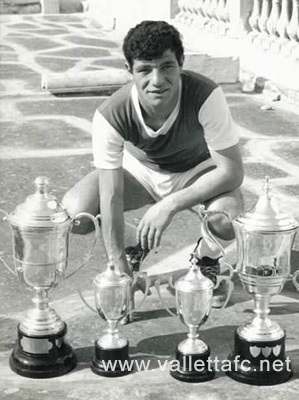 Charlie was considered to be one of the strongest players in Malta during the 60’s and also one of the top technical players. He scored many important goals for Valletta FC and to this day Valletta fans still talk about the amazing goal he scored against Norwich City FC. Another crucial goal that Charlie scored was against Floriana FC 3 minutes from time to give Valletta FC their 1962/63 championship. During his stay with Valletta FC, Charlie Williams won all the honours. 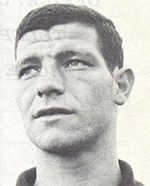 He won the League Championship, Scicluna Cup, FA Trophy and the Cassar Cup. He represented Valletta FC in European competitions, playing against Dukla Praha in the UEFA Champions League (formerly the European Cup) and against Real Zaragoza in the UEFA Europa League (formerly UEFA Cup Winners’ Cup). At the age of 18, Charlie Williams made his International debut playing for the Malta National Football Team against Italy C. Charlie also played for the Malta National Football Team at the Liguria, Italy tournament where Malta finished in 3rd place, beating Italy and tying Holland. At the age of 23, Charlie was already a Maltese soccer star, so it was not a surprise when first Norwich City FC, and then the newly formed professional soccer league in the USA, National Professional Soccer League (NPSL), were recruiting Charlie. 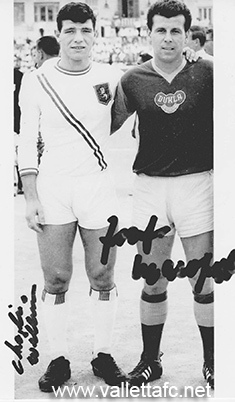 Unfortunately, for both Valletta and Malta, in 1967 Charlie decided to sign a professional contract to play in the NPSL, which later became the NASL. Charlie was a pioneer in the game of soccer in America. He spent 10 years playing in different leagues in the USA. 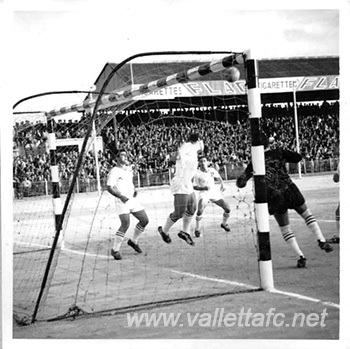 Charlie Williams’ transfer fee in the 1967 season was in the region of $5,000 which was paid by his American team, to Valletta FC. It was by far the biggest transfer fee ever paid to any Maltese club in those days where weekly wages in Malta were around $20 or 7 Maltese pounds. After his American soccer playing days were over, Charlie retired from playing and decided to take up a coaching career. He did this with huge success as well, and in 1995 he was voted Best Coach in the State of New York. Charlie Williams was also the owner of his own Soccer Academy in the USA, a school which he operated from 1993-2006. Charlie retired from soccer activities and decided to move back to his home country of Malta in 2010, where he currently resides with his wife, two kids and grandchildren. 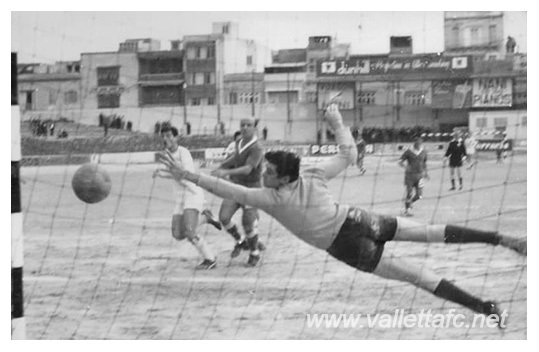 Charlie Williams is a true Valletta born and raised icon in Maltese soccer, as witnessed by the new issued book called “Gheruq Beltin” (“Valletta Roots”) which features top Valletta born individuals that made Valletta and Malta very proud. 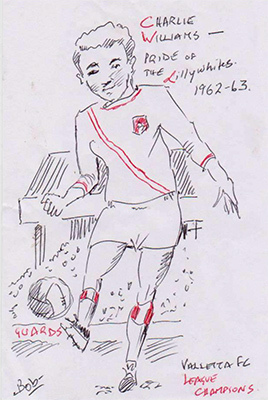 A drawing of Charllie Williams made by a Valletta F.C. fan.